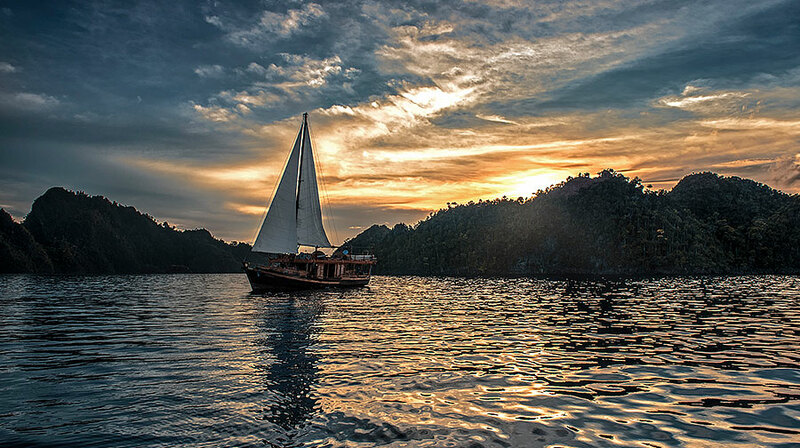 Indonesia is the world's largest archipelago with over 18,000 islands. 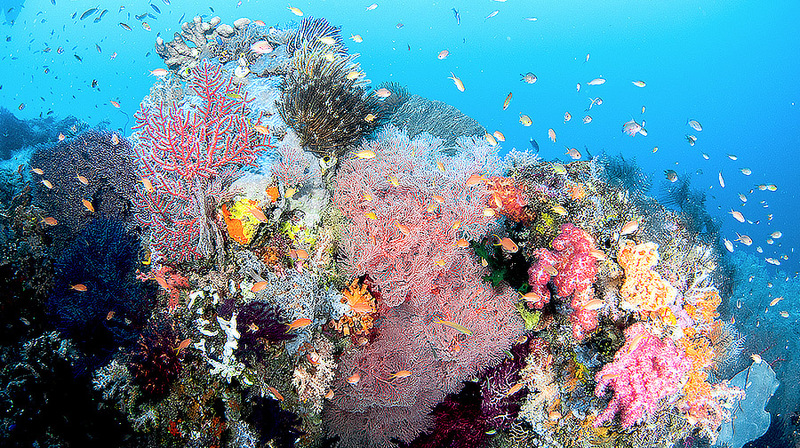 It is home to the planet's most biodiverse marine life with over 3,000 species of fish and 500 species of coral. 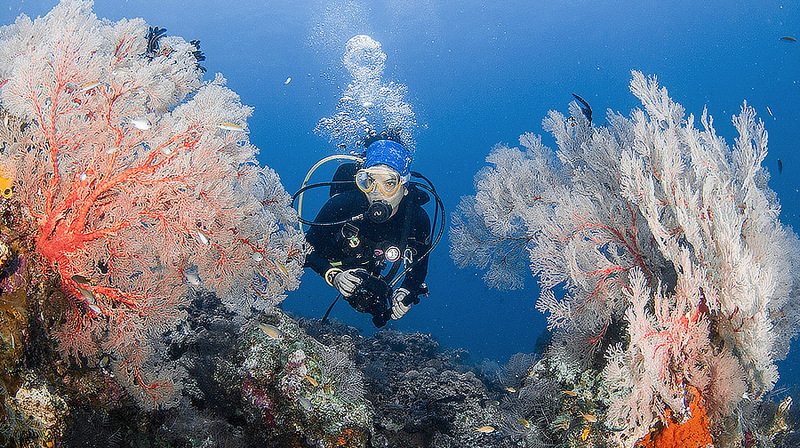 Its most beautiful and remote destinations are located in the heart of the Coral Triangle, which until recently have been difficult to explore. 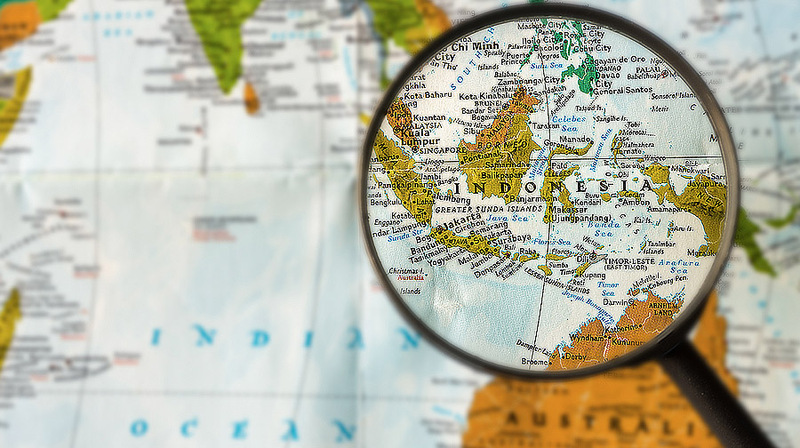 From a passion for discovering and admiring the beauty of our country's hidden tropical and marine paradises, Coral Triangle Safaris (CTS) was established in 2016. Gemala is a professional surfer who writes a travel blog, mostly about her journey exploring Indonesia. Surfing and diving are her two favorite activities. You can read her travel story on her book “ocean melody” as well as her social medias. 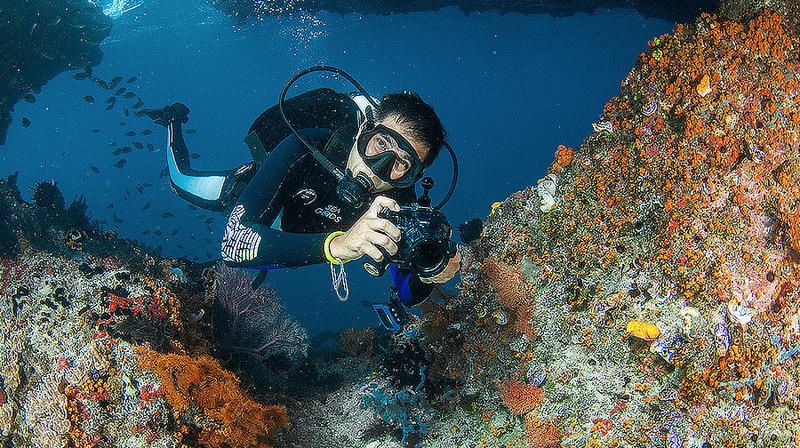 Pinneng is a professional underwater content creator that has years of experience. He has won many underwater photography competitions. 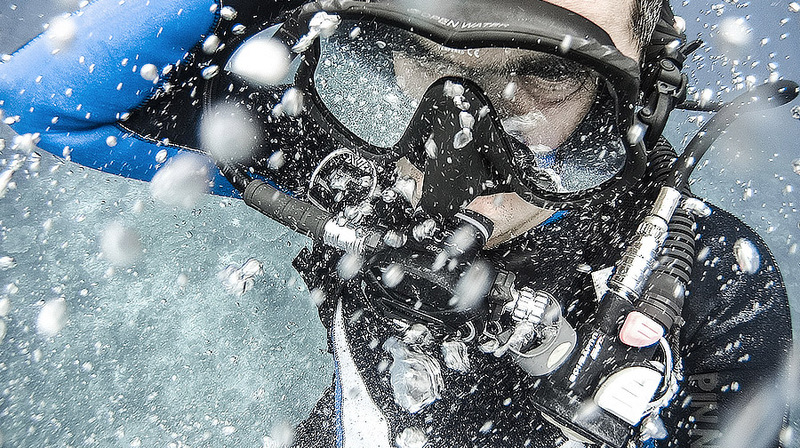 He is also a journalist, and an underwater surveyor. 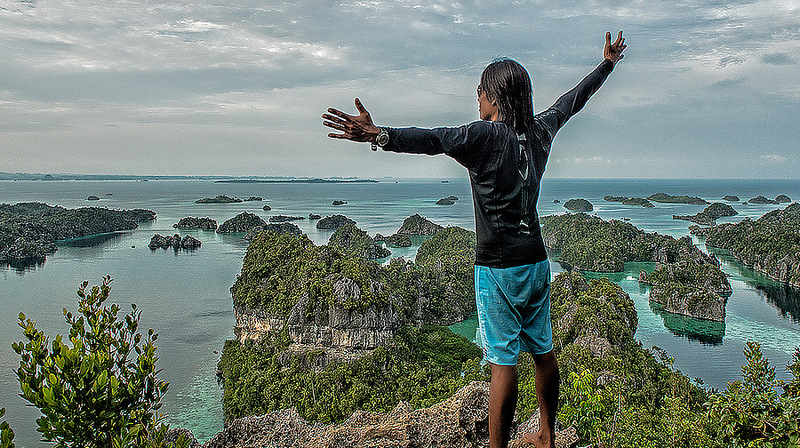 Together they found Wet Traveler, the most respected ocean travel blogger in Indonesia. Indonesia is a land of incredible cultural diversity with over 300 tribes speaking 700 living languages. We celebrate the beauty of our diverse population just as much as our natural resources both above and below the water. As a part of our commitment to develop and work with local talent, Wet Traveler joined us to witness and share the world the beauty of islands less traveled of Misool. 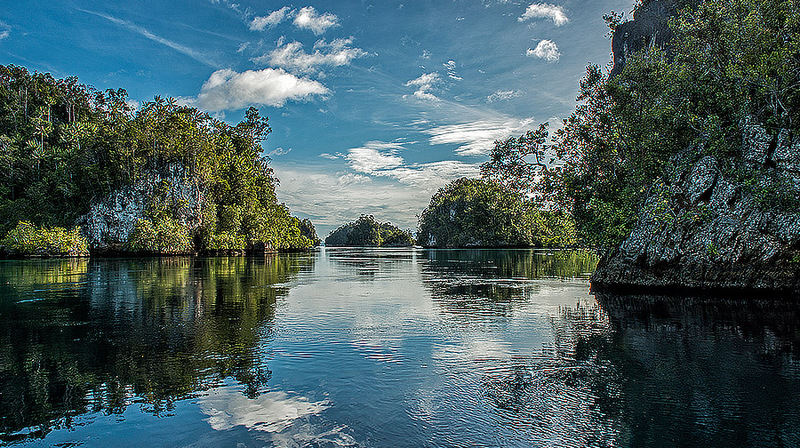 Raja Ampat scuba diving has gained a reputation as being amongst the finest in the world by CNN Travel. You will be in the center of thousands of fish just inches from your mask as they dart and change direction in a split second. The rainbow of colors, textures, and fish shapes bring you into a world that seems as if Pixar Animation created it. Imagine swimming along side of manta rays, sharks, stingless jellyfish, giant bump head fish, colorful soft coral and thousands of reef fish while staying on the surface of the water. The aquatic treasures of Raja Ampat can be enjoyed by virtually any one at any level – the only equipment needed are a mask, snorkel and fins! 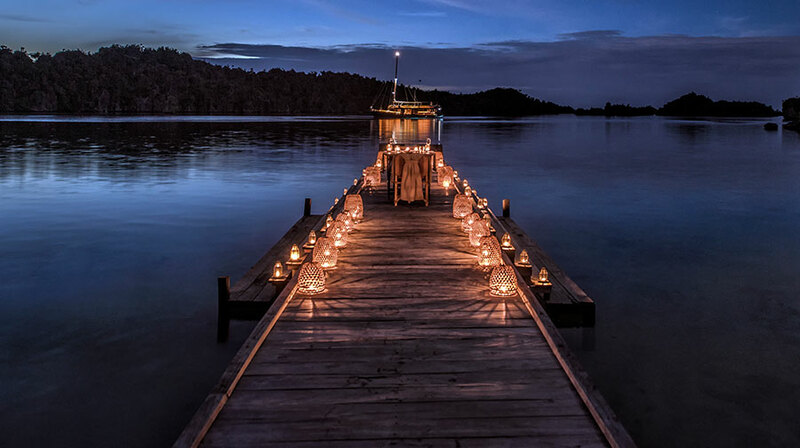 Welcome to Misool, South Raja Ampat! While the North is more known for fishy sights, macro sights, hard coral gardens, amazing manta dives and sharks. The South tends to have more walls with amazing sea fans and soft coral. The magnificent coral formations of the South are more dramatic than the North. Perched on a shallow shelf in the Ceram Sea, the reefs surrounding Misool are a dream destination. Wayil is our first destination after an overnight sailing from Sorong. We spent entire day scuba diving with a lagoon and beach exploration between our dives. We were spoiled by Misool’s underwater wonderland from soft corals and sea fans to school of fish from sweetlips to bump head parrotfish. We spotted pigmy seahorses living on sea fans as well as camouflaged crabs and mantis shrimp. 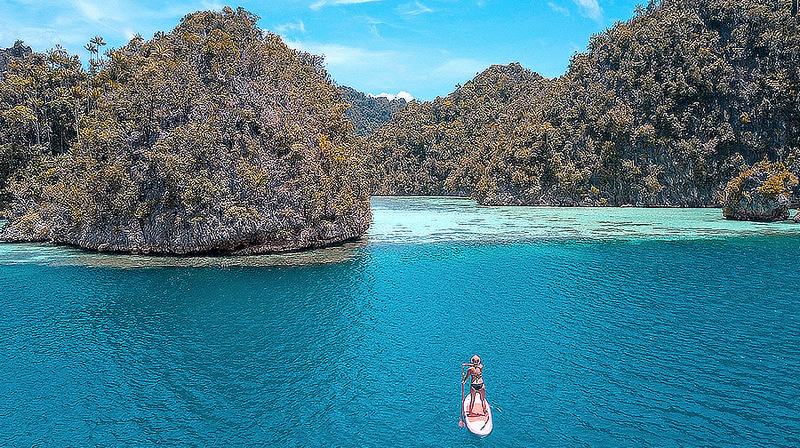 Scenic lagoon, shallow reefs and crystal clear waters make an ideal location for on-the water sport adventures like kayaking and stand up paddle boarding. These islands have white sandy beaches, which make them perfect for island exploration. An epic sunset was ours while Sequoia crew set up an outdoor cinema that we enjoyed before the smell of fresh catch seafood barbeque entice us to dinner. The next day is another adventure. We sailed to the next islands, Yillet for swimming with baby sharks while enjoying a cup of coffee listening to park ranger story on how they protect this special region. Yillet is a good base before we took our speedboat to dive at the two famous dives site on Misool “Magic Mountain” and “Boo Windows.” Nothing is ordinary. We were spoiled by Manta Rays various shades and sizes from start to the end. Let alone the giant Napoleon Wrasse that makes Magic Mountain dive site home. He was busy inspecting us! It was wonderful. Most people think there is nothing out there beats this dive site. It must have been the best dive site in the whole world. If you like out of ordinary safari, uncharted dive sites and new sites are waiting to be explored without crowd in the remote Misool. Sequoia is all about islands less traveled. After spending a day in the most wanted dive site in Misool, we were excited to depart to far west for a real voyage of discovery, Jef Pelee and Lenmakana. 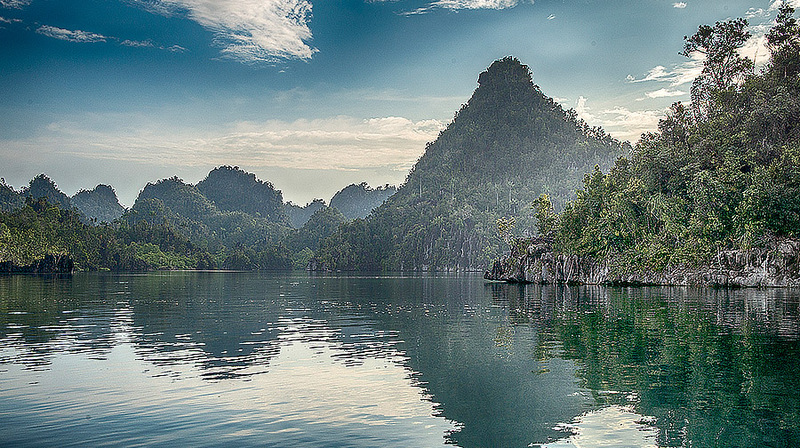 Located in a very remote area of Misool, Jef Pele exemplifies the lushness of Seram Regency. Easily spotted from miles offshore – the towering peaks. Our crew took us on the Boston Whaler so that we jumped into the ocean and immerse ourselves to the world’s aquarium. The dancing soft corals following the current directions as well as school of fusiliers welcoming us to witness the beauty of Kaleidoscope underwater. The adventure does not end here. Our crew took us to a special lagoon facing Open Ocean in the east, and mangrove in the west. Upon our return on Sequoia, Yoga Mats were ready as well as hot chocolate to start our sunset time. Our last dive day in this safari will be at Jef Pele East, which is good for both day and night dive. The scenery of turquoise waters that surround this picturesque island welcomed our morning. A large school of trevally is usually found at the shallower depths. Barracuda were seen everywhere as well as a large concentration of banner-fish, sweetlips, emperors and snappers. 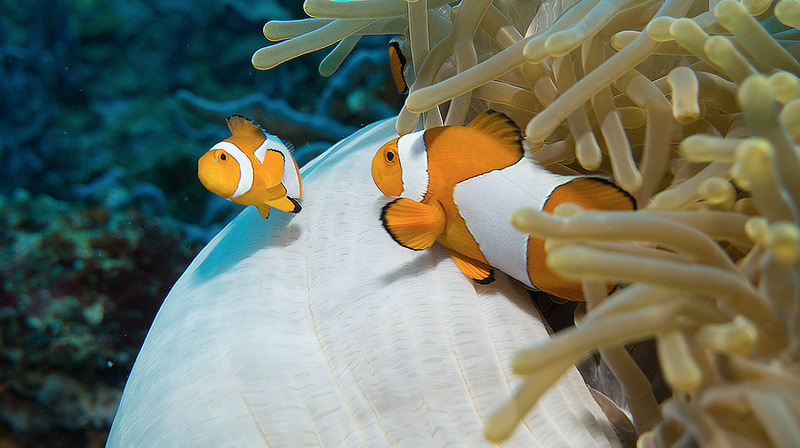 Most divers can spend their entire life for scuba diving in Raja Ampat and still finding new creatures. It is a marine wonderland. In the late afternoon, relax and enjoy a cup of tea and our freshly baked-pastry while watching the breathtaking twilight. We ended our night with a beautiful dinner on Sequoia sky deck, where we planned to explore more islands less traveled of the Coral Triangle. By midnight captained started our John Deere engine to cruise for a 5-hour journey to Danpulol. 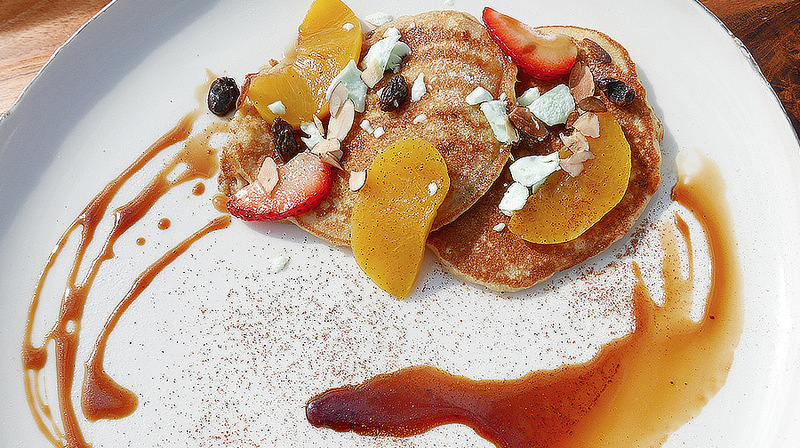 A perfect day in Danpulol began with a sumptuous breakfast: homemade pancake and tropical fruits. Crystal clear waters invited us to immerse ourselves. 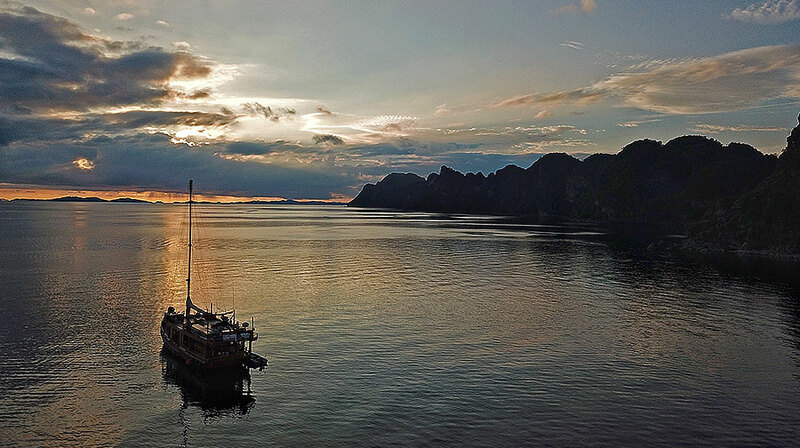 This is an ideal location to relax after multiple days of scuba diving. It is relatively shallow with mild currents. Being relatively shallow, it is also perfect for snorkeling. Danpulol reef offers you a great first impression of what you can expect from Raja Ampat underwater life: schools of yellow snapper, napoleon wrasse, big groupers as well as wobbegong sharks. With endless peaks and lagoons to explore, we had to choose what we liked of experience. We decided to go kayaking following the amazon like lagoon, visiting caves and ancient rock arts, and stand up paddle boarding in Love Lagoon while other snorkeling in its shallow reefs. For dinner, our chef served us “Archipelago Cuisine” inspired by the unique spices found throughout the country. One of the entrees is the famous Beef Rendang originating in West Sumatera, which is awarded as one of the best foods in the world by CNN Travel. Jetty dinner was our choice. It was a special night that we remembered for a lifetime. In the evening, we set sails for an overnight sailing to Sorong. Misool is just extraordinary. 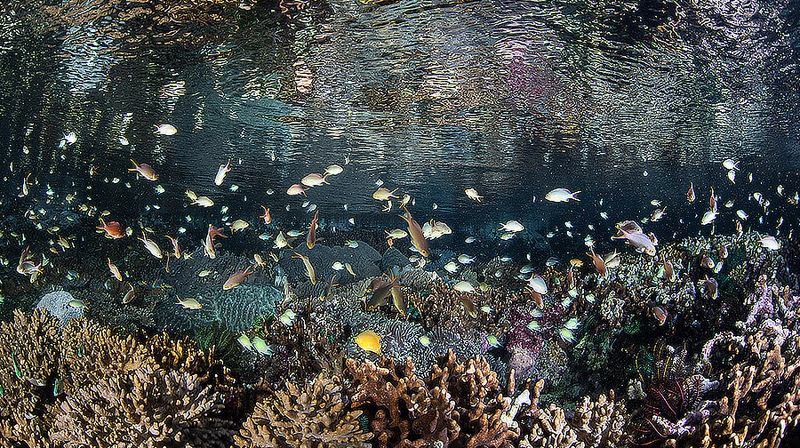 Start planning your coral triangle safari for a lifetime experience. Begin your own journey! Nala Rinaldo, Pinneng, and Gemala take Image. Wet Traveler creates video.